I have a good friend who has taught me more about empathy and coming alongside someone in the fellowship of suffering than anyone else. Her name is Gillian. I’ve written about Gillian before, about how she learned to talk speaking the name of Jesus before any other word and about the honor I had to baptize her. (Maybe I will repost those in the following days so that you can get to know those stories if you don’t already.) If you subscribe to Standard Publishing’s Christian Standard Magazine or HeartShaper Sunday School Curriculum, you can see Gillian featured in an advertisement. She is featured because she is a wonderful, God fearing little girl who happens to be autistic. Last night Gillian, her parents, my husband and I went to hear Temple Grandin lecture about autism. Dr. Grandin was born in 1947, at a time when it was common for children with autism-like symptoms to be diagnosed as simply “brain damaged.” Gillian wanted to go and see someone who has succeeded and not let autism overcome her strengths. Part of me just wanted to watch Gillian. I know that she heard every word Dr. Grandin said about autism and strengths and the latent possibilities of this neurologically diverse population. With her usual intensity, she watched and recorded what she heard with her amazing brain. 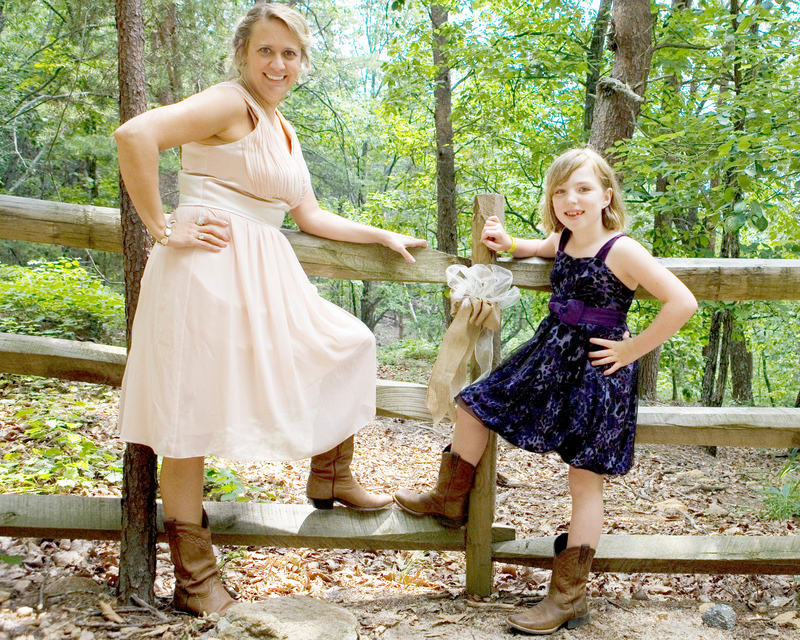 She uses the same concentration on all her passions – horses, animals in general, and Jesus. Many times Gillian has interrupted my lesson with an insight that left me speechless. Her way of seeing and feeling things is a gift. And she feels deeply. So for me last evening, as much as Temple Grandin was the featured author and lecturer, Gillian was also an instructor. You see, Gillian feels deeply that she has something to offer the world. She isn’t sure what it is yet and she doesn’t know how to accomplish it, but she knows it is there and she knows she doesn’t want autism to prevent her from sharing her gift. Her tremendous insights in areas of empathy and feeling are what Gillian teaches me. So often I am more than willing to let my weaknesses prompt me to “hide my light under a bushel.” But not Gilly. No, she is determined not to let fear and sensory overload stop her from being who God intends her to be. She has often asked what it means that the publishing company features her picture, wondering if she has some responsibility to fulfill. We keep telling her that she only needs to be herself because that is what has inspired so many people. As for me, I don’t think I will ever stop learning from Gillian. 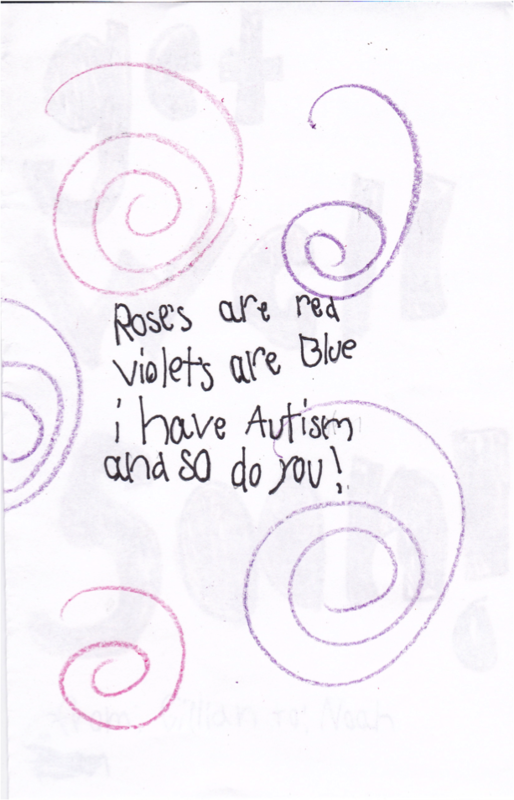 Last winter when my son was in the hospital, he received this note from her. Oh how I wish I had more friends like Gillian! I wish the church was full of Gillians who would reach out from their own condition to another and say “I am more like you than you think.” And I wish I felt the responsibility to reach out in empathy and solidarity as Gillian does. Some might say that Gillian lacks the social inhibitions that dictate she more appropriately represent the autism that she and my son share. If so, I believe that lack of social grace is truly a grace in itself because it allows her to reach beyond herself with wild abandon. 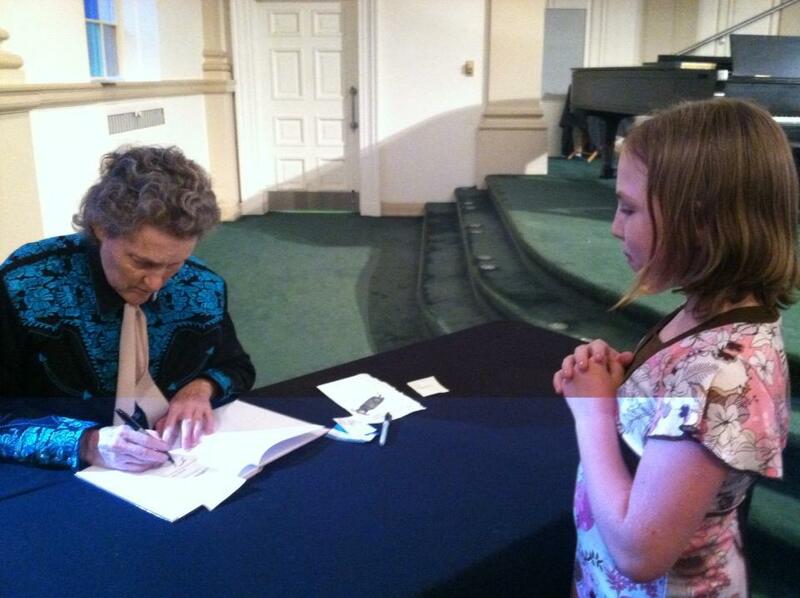 Last night, she stood in line for almost an hour to have Dr. Grandin sign a book about autism heroes called Different Like Me. She reads this book all the time for inspiration for ways that she can overcome the many difficulties she faces every day. Something in me wanted to have Gillian sign it as well, for she is a hero of mine. Gillian, I know your Mommy is reading this to you. You want to know what it means that you are my hero. You want to know what you have to do – what your responsibility is. With all my heart I want you to know that all you have to do is be who God made you to be. You are created in his image and he made you perfectly. When I look at you, I see God. And that is a gift to this world. Oh, how precious. Thank you for sharing Gillian…and your heart…with us, Vangie!